We were in our best dresses. And we were in our best moment . We were at a wedding. It was so magical at the wedding that we thought it might be imaginary. But, it was very real. It was on a Saturday in June. It was in the year 2013. It was at a time , a set time. And it was at a moment in time between the wedding and the reception that we played in the garden where there were swings. 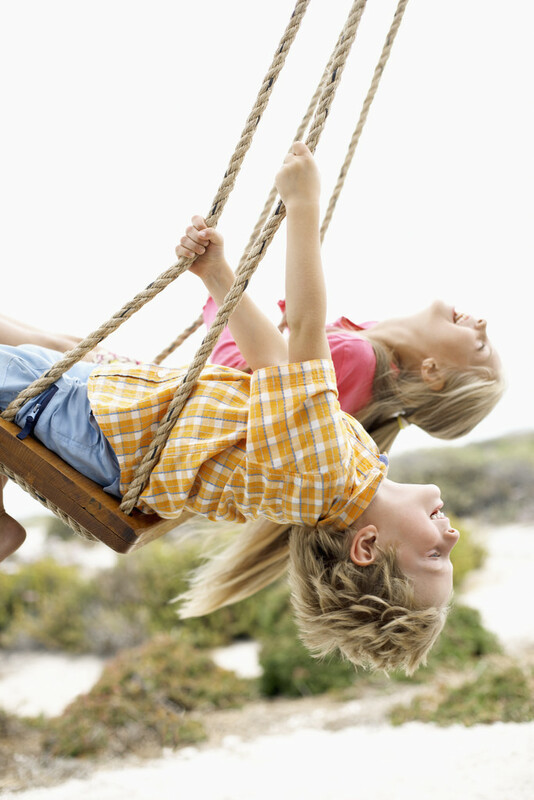 We chose two swings and together , each in our own sling, we began to draw our legs back and forth. As we pulled our legs vigorously against the air, we talked of long flowing dresses, peach colored flowers , musty books and lacey napkins. . . Then , we talked about Daddy. I thought of a very big word that I knew:”Transcendent” as I watched her swing glide high towards the tree. I thought of a very big word that I knew “Immanent” as I watched her dip towards the dirt beneath us. Suddenly , we saw girls in chartreuse dresses begin to linger over a banquet table that was center-pieced with a wedding cake. We jumped from our swings. Somehow it didn’t matter anymore which of us was right. There was a banquet to go to and we were both dressed and hungry. Pulling each other up from the dirt, we laughed and looked back at the swings. There, we saw a boy at the swing set where we had been. We saw that he had grabbed our swings to halt the motion. Suddenly, our vision was united. We didn’t need big words anymore to describe it all. God is ever so near and yet ever so vast. He consumes all things and yet makes habitat with man. Only swinging from heaven to earth do we see Him fully. On one hand is His Immanence on the other , HisTranscendence. Where they meet . . .